A former Flagstaff Police Officer and expert witness for the Northern Arizona Healthcare’s Safe Child Center has pleaded guilty for perjury and theft of between $4,000 and $25,000. Carli Moncher was retained as an expert witness to testify in cases involving children, including cases of child abuse for the Northern Arizona Healthcare’s Safe Child Center. The Arizona Department of Public Safety led an investigation into Moncher’s actions. The department determined that Moncher would falsify her reports to the Safe Child Center and the courthouses where she worked, allowing her to be paid twice for one job. According to her indictment, Moncher received $8,148.15 from the Safe Child Center while also doing private work. The investigation revealed that Moncher had forged official subpoenas to support her employer’s expense and travel reimbursements. Moncher pleaded guilty to one count of theft and one count of perjury. Those crimes carry a penalty of anywhere from 1 to 5 years in prison. Her plea deal showed that 22 of Moncher’s original 24 charges were dropped as a result of her plea deal. The charges that were dropped include one count of fraud, one count of perjury, and 20 counts of forgery. Moncher submitted a sealed statement that detailed her history of sexual and physical abuse by her stepfather, her lack of paid leave after several surgeries related to her Cushing’s syndrome, and an instruction from her bosses to reduce the services she provided to the surrounding counties as her motivation for turning to theft and the alleged forgery and fraud. 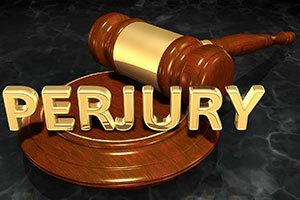 Because Moncher testified as an expert witness in many cases, her perjury charge may allow the defendants in those cases to reopen their convictions. Attorneys in the cases where Moncher testified may try to utilize her perjury plea to try to overturn or appeal convictions. A report from the Department of Public Safety shows that Moncher has testified in cases in multiple northern Arizona counties and in federal courts. Katie Conner, a spokeswoman for the Arizona Attorney General’s Office, said the plea would affect “a number” of cases in which Moncher was involved.